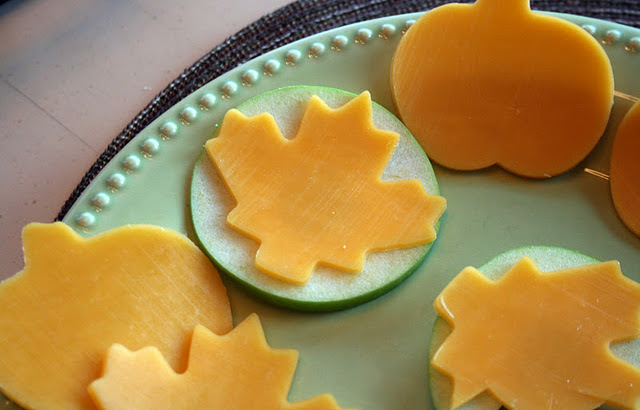 These great cheese and apple snacks would be a healthy Fall snack or an easy Thanksgiving appetizer. They would be simple for kids to make as well. Either for themselves or to help out at Thanksgiving dinner. And if you aren't a fan of apples and cheese, you could always replace the apples with crackers, but keep the cookie cutter cheese slices. 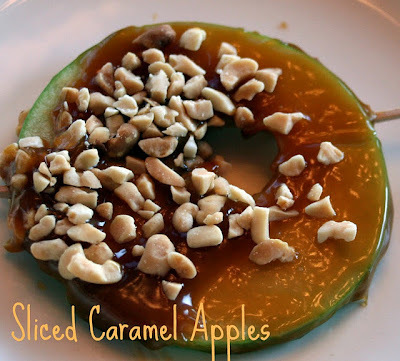 Another fun Fall snack, although not quite as healthy, are these sliced caramel apples. You can check out both sliced apple recipes over at Moore Minutes. Love this! When my boys were little, I would take plain old slices of Kraft American cheese (their favorite) and cut them into shapes with cookie cutters. I tried to cut out the shapes carefully, leaving the square of cheese with the holes cut out intact. After they ate the shapes, my boys asked for the "puzzle." No waste! love this. my 9 year old eats apples and cheese EVERY day. she will think this totally rocks!